The Panasonic LX100 Compact Camera! September 15, 2014 - Panasonic is proud to introduce the DMC-LX100 (LX100) with Micro Four Thirds High Sensitivity MOS Sensor for the 6th generation model of Panasonic’s world-renowned LX high-end compact camera series. The new LX100 is not just a successor to the DMC-LX7 but a jump-up that even inherits the DNA of DMC-LC1 - the Panasonic’s first full manual compact camera released in 2004. The LX100 will be available at www.shop.panasonic.com and valued channel partners at the end of October. The LX100 is capable of smooth, high quality video recording not only in Full-HD 1,920 x 1,080 60p (NTSC) AVCHD Progressive (MPEG-4 / H.264) format or MP4 at 60p (NTSC) but also in 4K (QFHD 4K: 3840x2160, at 30 fps (NTSC) in MP4). With this 4K video recording capability, Panasonic is proposing a new way of photo creation called “4K Photo”. By grabbing a 3840x2160 8-megapixel equivalent image from the 4K video footage it is possible to capture the spur-of-the-moment which is often missed in still photography. This functionality is now easier with the newly added Hybrid Photography 4K Photo mode. The LX100 is also superior in response. Featuring newly combined DFD (Depth From Defocus) technology made famous in the LUMIX GH4, not only accuracy but also speed is improved to achieve Light Speed AF of approx. 0.14 sec to capture fleeting shooting photo opportunities. High speed burst shooting can be shot at 11 fps in full resolution. It also complies with max.1/4,000 (mechanical) and 1/16,000 (electronic) high speed shutter speed. For more creative freedom, Creative Control (Filter), Creative Panorama and Photo Style are available. Notably, aperture and shutter speed can be adjusted while applying Creative Control filter, to further inspire the photographers’ creativity. The LX100 integrates Wi-Fi® connectivity (IEEE 802.11 b/g/n) with NFC (Near Field Communication) technology camera to offer more flexible shooting experience and instant image sharing with easy operation. More practical functions including Focus Peaking, Level Gauge, WB (white balance) bracket, highlight/shadow control are also equipped. Now LX100 can develop RAW images into JPEG in camera. A compact external flash (GN7/ISO100, GN10/ISO200) that goes with the body color of the camera is bundled to be mounted on the hot shoe. The new Panasonic LX100 compact camera has just been announced and my initial reaction is WOW! The LX100 measures up at 4.53" in length, 2.6" in height, 2.17" in depth and weighs in at 393g which is larger and heavier than the Sony RX100 III compact camera which measures up at 4" in length, 2.28" in height, 1.6" in depth and weighs in at 290g. I want a smaller compact camera with a fixed zoom lens to fit in my motorcycle leather jacket side pocket for those times when I want to ride my bike without the hassle of luggage or even a small camera bag. The new LX100 ticks all the boxes and then some and I already know that a Four Thirds digital sensor can deliver the image quality I require. I like the fast Leica Summilux zoom lens with it's f1.7/f2.8 aperture and 24-75mm field of view - ideal for a wide spectrum of scenes. The LX100 Four Thirds digital sensor is similar in pixel numbers to my Micro 4/3rds Panasonic GF1 compact system camera and with the new 2014 technology there should be a reasonable improvement on the image quality I get from the GF1 which is already superb. The manual controls of the LX100 hit the ground running and rival those of the GF1. For a comparison, I retrieved my GF1 from the cupboard, removed it's 'clip on' electronic viewfinder, fitted my Lumix 20mm f1.7 ASPH prime lens and the combo is larger than the LX100 compact. The GF1 combo measures out at 5" in length, 2.8" in height, 2.75" in depth with a UV filter and lens cap fitted and easily slips into the side pocket of my leather jacket albeit with a bulge showing which spoils the line of the jacket. The LX100 is the compact camera that I was seeking back in 2009 when I purchased the GF1 and today Panasonic have finally delivered the goods, albeit 5 years later. The LX100 is available in the UK on pre-order for £799.00 vat inclusive. 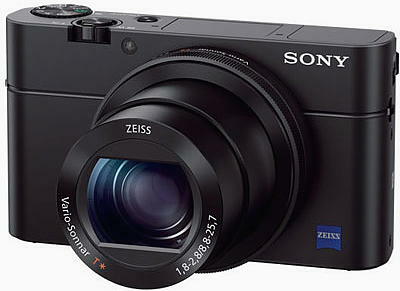 When is a Compact Camera a True Compact? The debate on many 'gear forums' has already commenced as to whether the Panasonic LX100 is truly a compact camera? Make no mistake, the Panasonic LX100 from the 'first impressions' I have read on the internet is a superb piece of kit and brings to the table a powerful camera capable of delivering excellent 'RAW' and jpeg image files in a small package. Actually it is extremely hard to resist placing a pre-order for one. However, perhaps the word 'compact' has different interpretations amongst photographers because to some the LX100 is diminutive compared to a DSLR camera and to others it is not diminutive enough to slip into the top pocket of your suit. The LX100 will not fit into a trouser pocket without some discomfort which ensures a funny way of walking. It will fit into the pocket of a leather jacket albeit there will be a bulge which distorts the line of the jacket and similarly an anorak and it will fit into the large pocket of an overcoat but who wants to wear an overcoat in the summer? This means that it is entirely likely that the Panasonic LX100 will end up being carried in a small waist bag attached to a belt or in a shoulder bag or a hand bag. I have yet to see image samples from the Panasonic LX100 compact BUT up to A3 print size or 1650pixel image web size the Sony RX100 III more than holds it's own for resolution vs noise and a clean image up to ISO:3200 with my Fujifilm X100s compact camera. I was visiting my son and his family on Christmas day when he produced his brand new compact camera, the Panasonic LX100. My son had purchased the silver version with the brown grip which looked fantastic and when he handed me the camera it felt solid in my hands and well built. I am used to Panasonic Micro Four Thirds system cameras so this compact with it's fixed zoom lens was a breeze to set-up and in a short time it was ready to use. I liked everything about the LX100, it was a nice size and easy to operate and the manual controls were excellent. 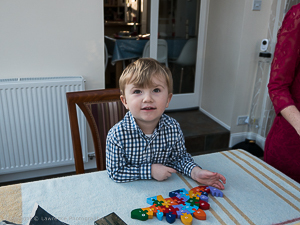 I set it to aspect ratio 4:3, popped it to ISO:800 and ran off a few shots of the grandkids and ISO:200 for my mum using aperture priority mode. The f1.7 aperture operates at the wide angle of 10.9mm (24mm field of view in 4:3 mode) of the zoom but as soon as you commence towards the long end of the zoom the aperture f1.7 setting is immediately overruled by the camera and stops down to a final f2.8 at the full extent of 34mm (75mm field of view in 4:3 aspect mode). I was blown away by the camera which reminded me of my Panasonic GF1 but the LX100's electronic viewfinder built into the body is a cracker compared to my (2009) GF1's clip on one. The rear LCD screen was excellent and I found it great to use whilst the autofocus was lightning fast. In the short time it was in my possession, I used it to run off these shots, I could not fault it - blast! But am I upset, no I am not.....a little - but whilst I passed on the LX100 (decided to stick with my Fujifilm X100s) I can at least take the credit for advising my son to get one. 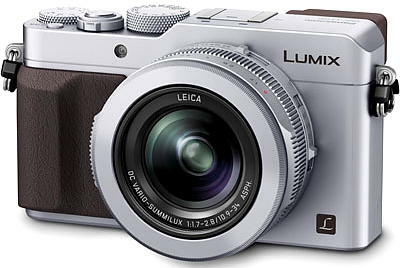 You can purchase the Panasonic LX100 for around £649.00 vat inclusive in the UK. 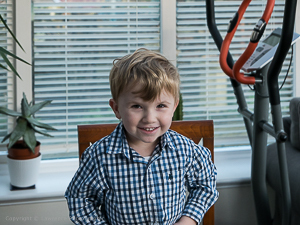 Some sample images of my fast moving 3 year old grandkids and my mother who is 92 years old. These were 'RAWs' post processed and converted to Jpegs using Adobe Lightroom 5.7 software and re-sharpened for the web using Canon's DPP software.